Hold on to your snow pants, because the sequel to the highest-grossing animated film of all time has its first official teaser. 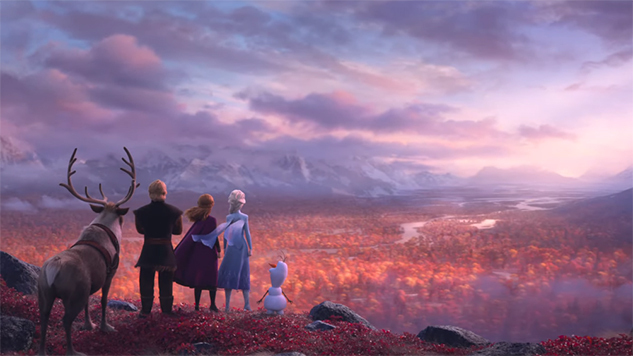 The textural, moody first look at Frozen 2 reunites the first film’s adored cast of characters (and Olaf) in vague, emotional situations, but holds back any definite story details. Directors Jennifer Lee and Chris Buck return with the support of the first film’s songwriters Kristen Anderson-Lopez and Robert Lopez to give your children something new to sing in the car for the first time in forever. The original voice cast will also return, featuring Idina Menzel, Kristen Bell, Jonathan Groff and Josh Gad. The Frozen sequel will be released Nov. 22 from Walt Disney Animation Studios, just in time for those holiday wishlists. Watch the visually stunning new teaser below.